Microsoft has served up an extensive video preview of what Xbox One owners can expect from the first major dashboard update, which drops early next month. The video trailer is presented by Xbox Live's Larry 'Major Nelson' Hyrb, who speaks to Richard Irving of the Xbox One engineering team. Irving explains how the update has "addressed the number one most requested feature" by switching on Party Chat by default. Cross-game chat has also been improved as users are now identified depending on the activities they're partaking in. There'll be differentiation between people users are chatting with and competing against. Xbox One owners will also have distinct options for bringing gamers into a party. They can invite fellow console owners into the party to chat, into the game to play or both. There's also "a lot of refinement to the UI to enable easier access," Irving said. 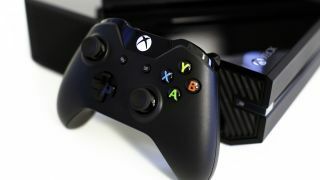 Microsoft is also making it easier for gamers to access their online friends, meaning they can see who's online within three button clicks or one voice command. Friends can also now be marked as favourites. The Xbox One has received its first official price cut and Titanfall is free!